For your home of homes! Or home away from home! Warmth, strength and security: The hallmark of timber frame construction is the joy of homeowners. Utilizing timber post and beam, with wood joinery held in place by wooden pegs, timber frame structures are made to last hundreds of years. 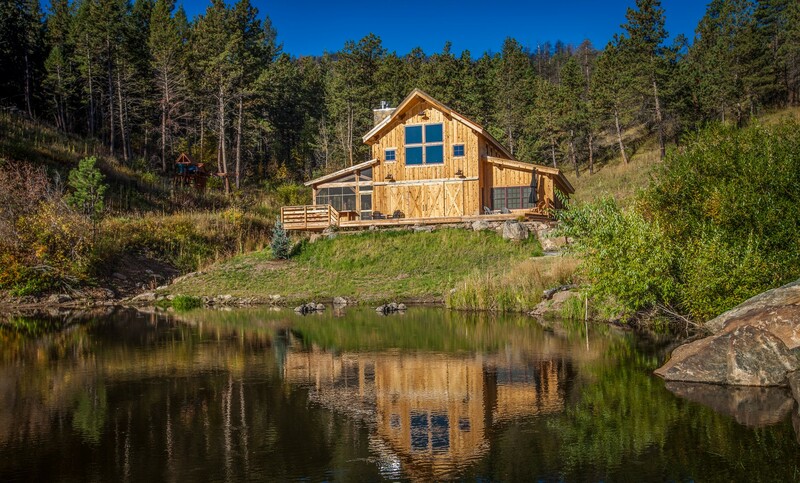 Allowing the homeowner to vary the wood look throughout the home, timber frame uses a mixture of wood species, finishes, spacing, design, and other finish materials to create a strikingly beautiful, energy efficient, building system. Timber frame construction itself is a centuries old art form. 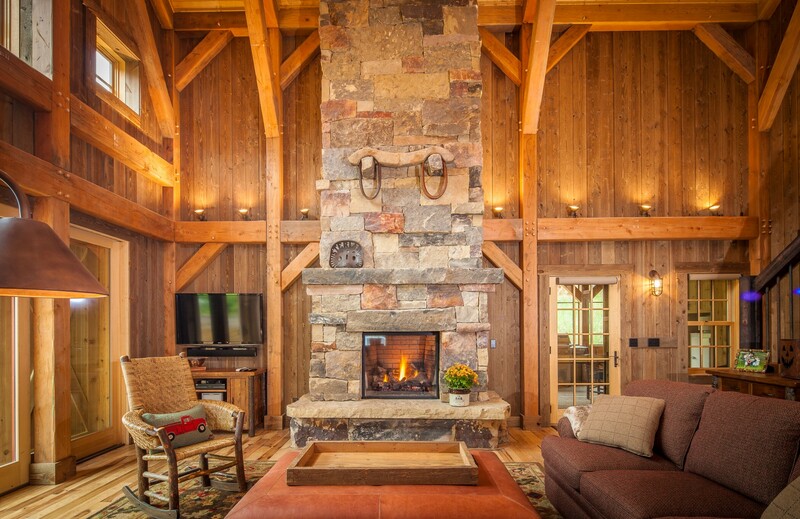 Historic yet modern, timber frame homes offer a best-of-both-worlds experience. The style itself is a timeless architectural form anchored in antiquity; however, the exposed posts and beams distinctly express 21st century elegance. The timber frame is an intricate web of parts that both support and beautify a home – every piece is as necessary to the structure as it is to the style. Our Precision Milled Timber Frames are manufactured in our factory network using computer-controlled machines to create meticulously-cut solid wood timbers with mortise-and-tenon joinery. The joinery allows the specific timber pieces to be joined together with wooden pegs. If you enjoy viewing perfection, this cutting system achieves unbelievable results. The Hundegger K2i is a computer-driven CNC machine that uses CAD drawings, robotic arms, and a variety of heads and bits to precision-cut the intricate parts and pieces that make up the timber frame. 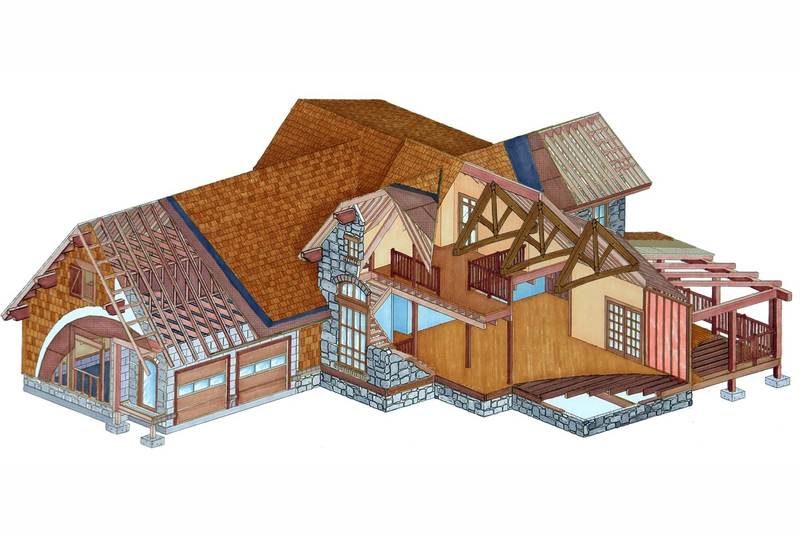 In a True Timber Frame home, the timber frame is the structural skeleton of the home. The timber frame is wrapped with SIPs (structural insulated panels) that span the large spaces between each timber of the frame and are known for their superior insulation capabilities. The true timber frame home may required more specialized labor and front-end costs and is generally the most costly option. In a Hybrid Timber Frame home, a conventionally-built, stick frame enclosure provides the structure of the home. 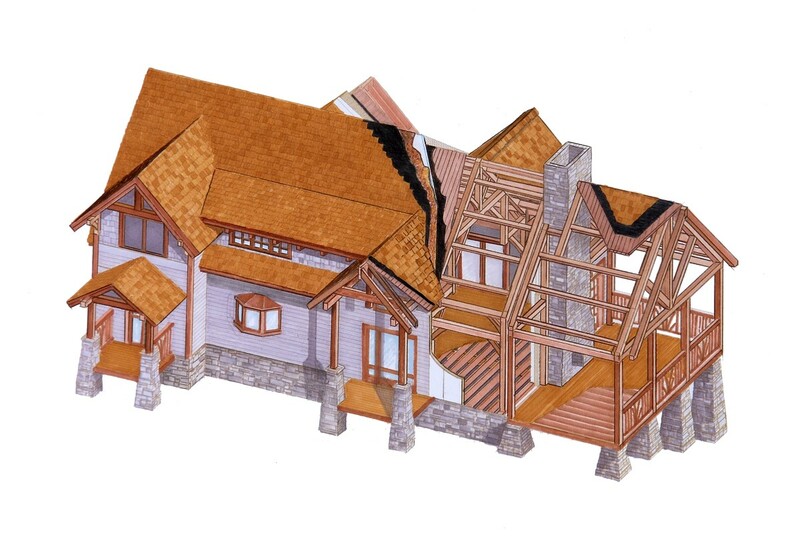 Timber frame may be used in parts of the home in a structural or decorative manner along with timber trusses, timber accents and beams, and other decorative components. The hybrid timber frame is typically more cost effective and offers maximum design flexibility.